The 2019 Volkswagen Jetta is a VW sedan that offers top-of-the-line features, outstanding safety technologies and refined performance. With its fuel-efficient powertrain, you can cruise around Pennsylvania and beyond for miles on end. Compare the 2019 VW Jetta to other sedans like the 2018 Toyota Corolla, 2018 Honda Civic and 2018 Chevy Cruze and you'll discover all that the 2019 Jetta has to offer. Then, you can visit our Volkswagen dealership near Wyomissing, PA, to buy or lease a 2019 VW Jetta sedan. The 2019 Jetta S is powered by a 1.4-liter turbocharged engine that boasts 147 horsepower and 184 pound-feet of torque. The standard powertrains on the other cars listed here cannot match the impressive performance of the 2019 Jetta sedan. This engine even allows drivers to earn up to 40 highway mpg,1 which is more than what the 2018 Corolla can offer. Enjoy other perks, too, like standard Post-Collision Braking, a safety feature that's not even available on the other vehicles listed here. Additionally, when you buy or lease a 2019 Volkswagen Jetta, you get peace of mind thanks to its bumper-to-bumper limited warranty that has you covered for six years or 72,000 miles,2 whichever comes first. You'll only be covered for half that time and mileage if you opt for a different sedan. 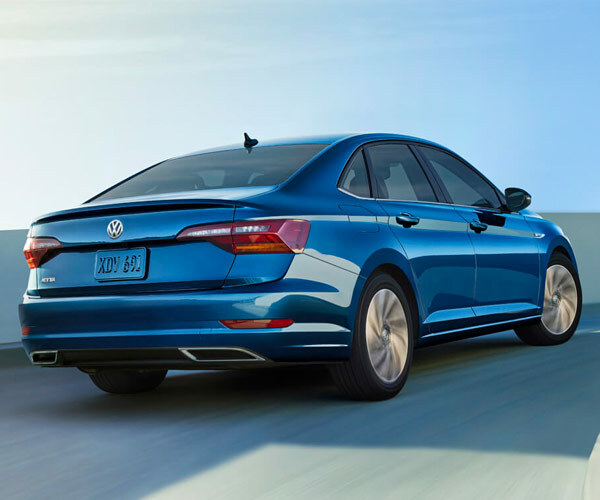 Continue to compare the 2019 Volkswagen Jetta to other sedans and see how it outshines all those that stand in its way. Then, visit Volkswagen Reading and speak with our VW finance team about how you can lease or finance a 2019 Jetta.